As a parent, teacher or mental health professional, we have surely, at one point or another, been bombarded with referrals to do testing or assessments. “Testing” may refer to every area in our anatomy and psyche. Some are physically intrusive, and others emotionally so. Most are expensive in time and money. What is the purpose for, and what exactly are, assessments? When a child or adult is referred for further testing, specifically in the area of psychology, questions that may need to be answered can sound like an alphabet soup: LD, NLD, ADHD, ODD, PDD, BPD, and a host of others. The reasons for the testing and what will happen during, after and as a result of the testing is often as unclear as all the letters used to describe the supposed ailment. We, or our loved ones, may be the objects of the assessments, or we may be the mental health professionals called upon to carry them out, or read and purportedly understand them. But what is meant by this, oftentimes scary, word: “test”? As more and more information is at our disposal, how can we make educated choices? What are the similarities and what are the differences between assessments and tests? What materials or tools are used? Why the huge disparity of costs? Are the results definitive? Are they worth the outlay in time, energy and money? In this article, we will try to make this “alphabet soup” into a clear “chicken soup,” and everyone knows how healthful and sustaining a good bowl of chicken soup can be. As a practicing neuropsychologist for the past 30+ years, I have seen many differing and interesting cases. I teach my students that a “case” refers to a person, a family, and really a whole constellation, beginning with kindergarten and going on through yeshiva or colleges. We have the educational constellation, we have the family of origin, and the family through marriage and/or work. After we (parents and various professionals – be they medical, academic or vocational) come into contact with a person, we have a host of questions that need to be answered regarding developmental issues, issues presented at birth, academic problems, medical illnesses or genetic history, accidents that affect cognitive problems, etc. First we have the referral question, why is this person here? Then we ask which area of the body is involved (motor, cognitive, visual, aural/hearing, sensory or other, physical or emotional. The professional in that area begins to suggest assessment techniques that will result in a diagnosis and recommendations, more like a map and GPS, that will shed some needed light and pave a path on which way to go regarding this confusing topic. The goal is for the referring professional and the patient to leave our office more knowledgeable, and more skillful in making decisions which can save the patients’ physical, cognitive and emotional lives. Genetic or developmental situations that may occur pre, peri (during) or after birth that might affect cognitive, motor, and sensory development, include: very low birth weight, or premature delivery. The baby is assessed by the neonatologist, and a social worker or developmental psychologist is on the team. The very first test given is the APGAR, which is an index used to evaluate the condition of a newborn infant based on a rating of 0, 1, or 2 for each of the five characteristics of color, heart rate, response to stimulation of the sole of the foot, muscle tone, and respiration, with 10 being a perfect score (Merriam-Webster). If there is a problem, the child is usually followed up by a child guidance clinic. If any infant or toddler behaves in a way which concerns the parent and pediatrician in relation to developmental milestones, the child is seen by a team that usually includes a developmental psychologist. The team uses observational tests to check motor, cognitive, social, and sensory development. A child in nursery or kindergarten through age nine is still under the purveyance of a developmental psychologist. In grade school through high school, the educational psychologist does the testing. Today this area is also covered by the psycho-diagnostician or learning disabilities evaluator. If there is an obvious difficulty in attention, concentration and/or hyperactivity, a pediatric neurologist or developmental pediatric neurologist is consulted. The only people who can write prescriptions for medication are medical doctors. Developmental neuropsychologists are another specialty consulted with these questions. Generally, the more subtle questions come their way, as they have specific expertise in the area of the brain/behavior relationship for each age group, depending on their training and experience. No one should take or give a medication given or prescribed by a person who does not have a medical degree, and preferably with experience to treat the patients of the age in question. Children, adolescents or adults suspected of behavior that may be on the autistic spectrum are tested by these specialties, and most specifically, by those who have experience in assessing behaviors that might be mistaken for autistic spectrum disorders that can range from communication disorders (social and language), psychiatric disorders, organic issues consequent to illness or genetics, and a host of other issues. There are literally thousands (if not more) of tests for various age groups beginning after the APGAR provides the first test/assessment. We will therefore list what areas of function some of the most utilized tests assess, rather than their names. When neuropsychologists wish to assess someone’s behavior, they are referring to the brain/behavior relationship, and figuring out what messages the brain is receiving, encoding, storing and recalling, and interpreting so that the person will behave in a specific manner. “Behave” is the operative word. In this case, it refers to “behavior,” not act as someone else may have taught or told them. History: Birth, medical, family; present functioning in area of medical, family, work/school, social relationships. Cognitive Functioning: This generally includes an Intelligence Quotient (IQ) or Functional Level as compared to same aged peers. Motor: Fine and gross motor abilities, which include walking, sitting, pencil control, drawing, writing, and building. Sensory Function: Being able to negotiate her/his world using the five senses, which includes perception (aspects of vision), spatial orientation, hearing (aural awareness), sense of touch and smell, and buco-facial responses to touch or food. Memory and Learning: Ability to encode new information, analyze it and utilize it in a creative or useful manner, and then being able to retrieve it appropriately – immediately, after a short time and after a longer time. Language: Receptive – understanding both verbal and non-verbal language, and expressive – being able to communicate in language, both verbally and non-verbally. Sustained Attention: This attention type enables one to stay on a task for a long period of time. Selective Attention: This attention type enables one to stay on task even when a distraction is present. Divided Attention: This attention type allows a person to handle two or more tasks at one time. Executive Function: An umbrella-like term for the management (regulation and control) of cognitive processes, including: working memory, reasoning, task flexibility, problem solving (judgment), as well as planning and execution. Emotional State: Referring to one’s ability to negotiate and cope, age appropriately, within her/his world. This includes immediate family, academic or vocational worlds, as well as extended family and social environments. Which type of specialist is required? The one who specializes in the age and lifespan issues of the referent, and more importantly, the one who gives a clear understanding of the behavior. Most importantly, the one who gives a clear “road map” of how to manage and help the patient navigate her/his life at a given time and place. 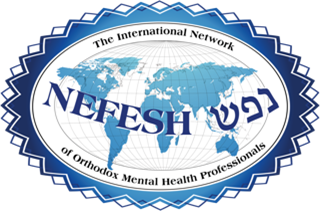 Dr. Judith Guedalia is the Director of the Neuropsychology Unit at Shaare Zedek Medical Center in Jerusalem, Israel.